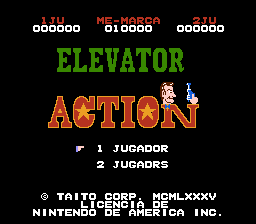 Elevator Action is a spy themed action game for the Nintendo Entertainment System. 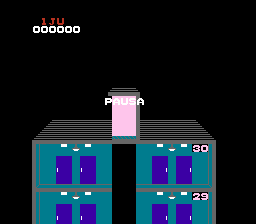 The player guides a spy through a large building starting at the top. The building is filled with numerous floors of doors, elevators, escalators, and enemy spies. 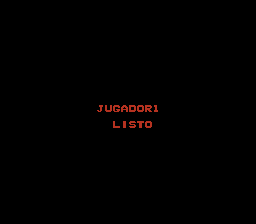 Occasionally a red door will appear on a floor which contains confidentail players that the player may enter to collect for extra points. The player is armed with a pistol as his only means of defense against the spies. Shooting ceiling lights will cause the entire building to go dark for a brief time. 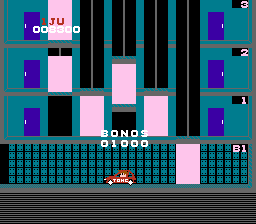 When the player reaches the bottom of the floor, the spy will make a getaway in his car. 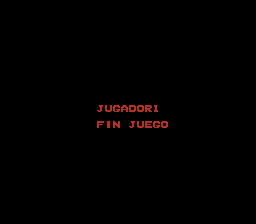 Translation to Spanish for “Elevator Action” for the NES.